Do you Measure the 10 Elements of Recruitment? The Recruitment Effectiveness Assessment (REA) provides recruitment and HR leaders with a strategic and practical analysis to build a high-performing, specialist recruitment function that can support their organisation’s ability to source, select and recruit the talent it needs to achieve its business objectives. At the heart of our consulting service is our Recruitment Effectiveness Assessment (REA) tool; Omni’s proven methodology and framework against which we audit an organisation’s end-to-end recruitment process and benchmark results against industry best practice. 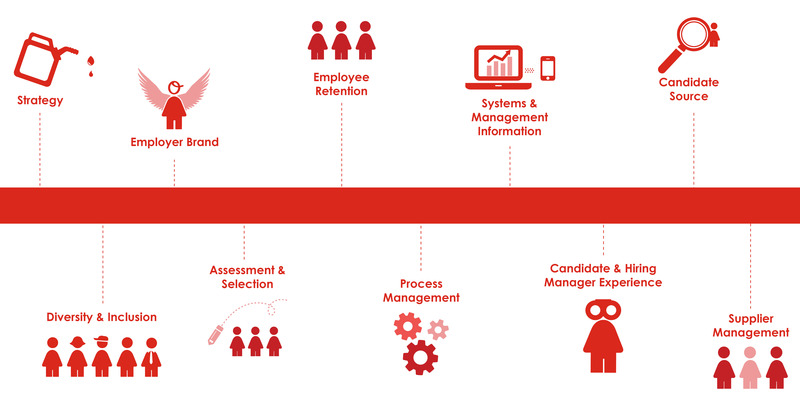 The ultimate health check for an organisation’s recruitment strategy, Omni’s Recruitment Effectiveness Assessment underpins the development of next-step improvement plans or transformation projects in order to build a high-performing specialist recruitment function. From identifying strengths and weaknesses to an organisation’s existing recruitment processes and highlighting any trends or barriers to growth, our specialist consulting team works with our REA tool to analyse and benchmark all resourcing activities against best practice, providing a clear snapshot of an organisation’s recruitment. You can take our REA survey to identify your current strengths and development areas and receive a report on how to improve your recruitment function.